You need a will is basic estate-planning advice. Without a will, at your death your assets will be distributed according to state law, which may not reflect your wishes. One of a will’s important functions is to name your executor (known in some states as a “personal representative”), who will be responsible for administering your estate and carrying out the provisions of your will. Choosing the right executor can help ensure the prompt, accurate distribution of your possessions with a minimum of family friction. You’ll leave behind warm thoughts instead of hurt feelings. Picking the right executor is vital even if your estate is not large. Example: Jane Smith might have little more than a house and a small bank account. At Jane’s death, though, her grown children are likely to fight over household possessions. 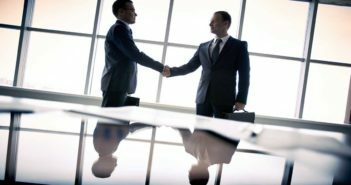 Unless the executor is able to resolve disputes amicably, the heirs will end up resenting each other and may even incur legal fees to settle the issue of who gets what. Paying all expenses of the estate, including debts, taxes, and funeral and burial costs from the estate. Distributing all bequests after expenses have been paid. This could include charitable donations and personal inheritances, as directed by your will. To these ends, the executor must handle a great deal of paperwork, including tax returns. He/she will have to file appropriate forms with the court overseeing probate (the process of carrying out the terms of your will). As you can see from this job description, choosing an executor deserves careful consideration. The executor may have to deal with discontented beneficiaries, especially if the division of assets in the estate isn’t equal. Relatives may fight over who gets possessions, from carving sets to love seats. In an extreme case I encountered, a decedent’s son took some items from his mother’s house. His brother was so upset that he called the FBI and reported that a thief had crossed state lines with stolen property. Your executor might have to put together agreements to resolve these disputes. You’ll also want someone who will work diligently and efficiently. If everything is done on time, unnecessary court delays may be avoided. Bottom line: Ideally, your chosen executor will possess attention to detail. He will be well-served by having an ability to handle numbers, personal finance issues and complex situations. In addition to looking for someone familiar with financial matters, seek someone who knows your family well. Above all, you want someone you trust to make every reasonable effort to ensure that your wishes are followed. Among married couples, it is common for the spouses to name each other as executor. Trap: Often, a survivor is too distraught after a spouse’s death to deal effectively with the details of managing an estate. Or the surviving spouse might lack experience handling financial matters. 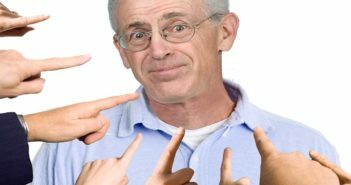 A surviving spouse might be too easily influenced by one member or one side of the family to the detriment of others who have a legitimate interest in your estate. Strategy: Consider naming a trusted, levelheaded and fair-minded sibling or grown son or daughter as executor. A family friend is another possibility. Alternative: Name a bank or trust company as estate executor. There will be costs involved (generally a small percentage of the estate — fees vary by state), but they might be worth paying if no relative or family friend has the required financial expertise and diplomatic skills. One additional possibility is to name coexecutors. An individual or an institution could be named, along with your spouse, if you think that’s necessary to avoid hurting your spouse’s feelings. Do I trust him to handle the financial affairs for my beneficiaries according to my wishes? Has he ever had financial problems of his own? If so, he may not be a good choice to fairly and accurately administer an estate. Would he get along with the beneficiaries, and how would he handle conflicts? An executor should listen to both sides and understand their points of view. If possessions are the issue, for example, the executor should work out some system in which heirs can take turns choosing. If I name coexecutors, can they work well together? Will your executor or coexecutors seek and accept advice from the estate’s attorney? 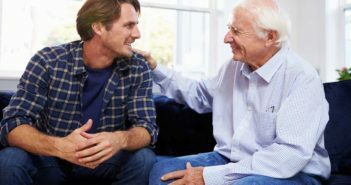 Assuming that you choose an individual to serve as executor, make sure that you get his verbal consent to serve before naming him in your will. Strategy: Name one or more backup executors in your will. A successor will be necessary if your original selection becomes unable or unwilling to serve. Following up: Once you have made your choice, go over the necessary financial details with your executor — your assets, how the titles to your real estate, securities, etc., are held, and where the paperwork, such as statements, deeds and insurance policies, can be found. Your executor should see your will, or at least know what’s in it. If your executor isn’t a family member, he should meet your heirs to get an idea of the personalities involved. Arrange a meeting with your tax preparer, too. Your executor will be responsible for filing income tax and perhaps estate tax returns after your death, so getting together with your tax pro may help speed that process. Compensation: Executor fees are set by each state. For instance, in New Jersey, they range from 2% to 5%, depending on the size of the estate. In California, fees range from 1% to 4%. Usually family members serve for free (they decline the fee), and sometimes friends do as well. Check that any provisions in your will to compensate an executor conform to state law. Funeral arrangements are the responsibility of family members rather than your executor. Often, though, there is confusion among family members as to who will make the decisions. Reality: Since the executor eventually will pay from your estate the bills for funeral and related costs, it makes sense to provide him with your funeral and disposition-of-the-body wishes. Best: Let family members know your wishes in advance. Leave a letter or video explaining them. Trap: Many people put this information in their wills, which then go into safe-deposit boxes, to which heirs will not have access without proper documentation. This means that family members could learn funeral wishes long after the funeral. Strategy: If you have prepaid your funeral costs or purchased a cemetery plot, make sure that your executor has all the details. Then he can quickly find the relevant contracts or deeds. After preparing your executor, prepare your heirs. Reveal your choice of executor to immediate family members and others mentioned in your will. The fewer surprises in your estate plan, the greater the chance that you’ll make a graceful exit and leave a peaceful family.